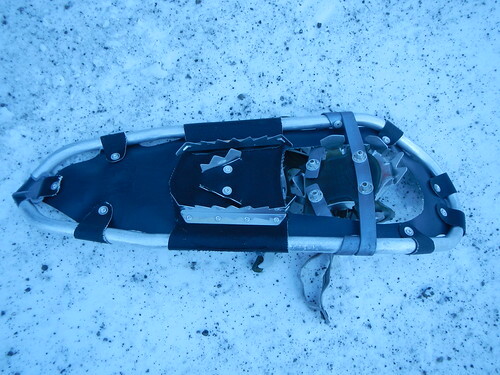 Tactical Trekker: Mountaineering Snowshoe Failure. When you're trying to break a snowshoe a trail in this sort of terrain -- like we found on the way to the California Matterhorn -- you need good equipment. 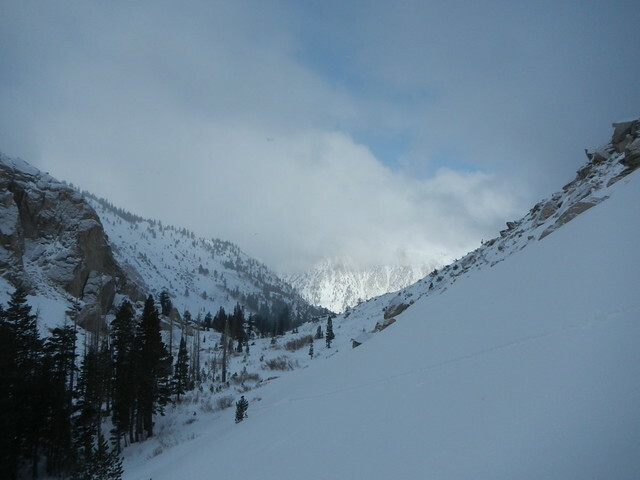 With the wrong gear you slip and go snow diving down the slope ... you and fifty pounds of backpack. 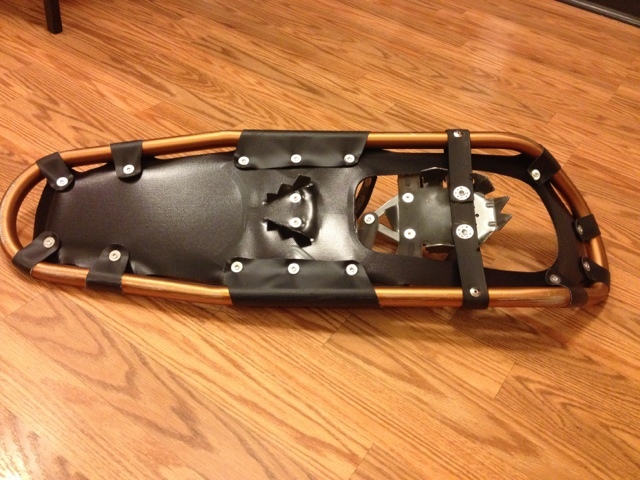 I know this too well because the snowshoes that Cabelas sold me were crap that acted more like a snowboard. Why? Take a good look at the bottoms in the next photo. 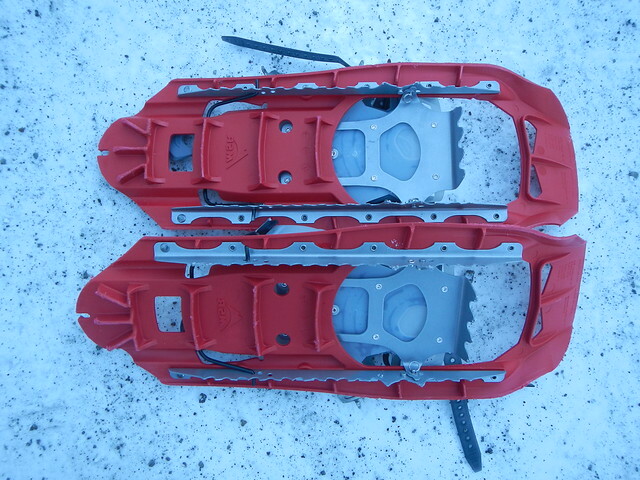 The bottoms have a lot of slick surface to slide on and not much in the crampon category. Crampons being those metal teeth. I had a miserable time with these shoes. 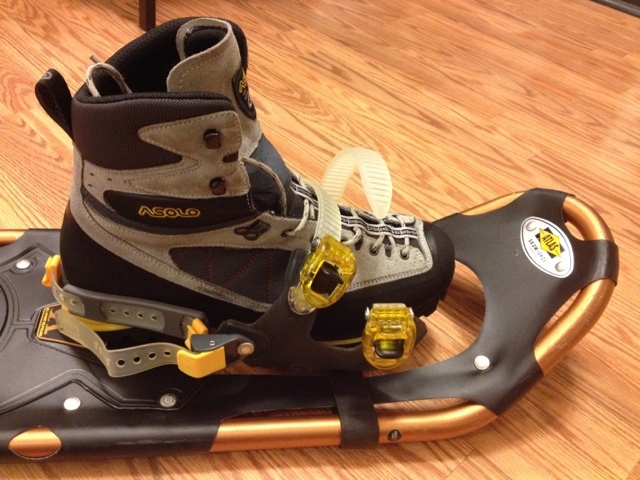 They may be good for a day hike, but worthless for mountaineering. BETTER - SEE THE BIG RIDGES OF CRAMPONS? THESE MSR'S ARE THE BEST - AGGRESSIVE EVERYWHERE AND CRAMPONS YOU COULD FELL A BIG, TALL SPRUCE WITH. 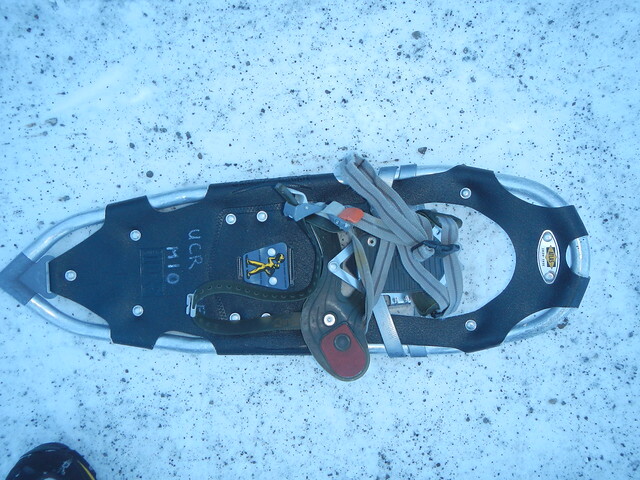 In addition to aggressive bottoms and crampons, the bindings should secure and remain secure. Mine, below, kept coming lose. Bad. Bad. THESE MSR'S ARE THE BEST - SECURE AND EASY TO GET INTO AND OUT OF. 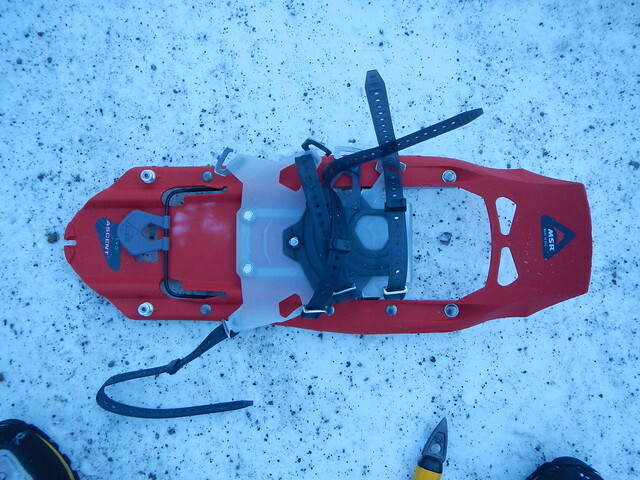 While I was on the San Bernardino County Sheriff's Search and Rescue Team- the BAD snow shoes were the issued snow shoes. You are right, if you weren't careful with your weight distribution you were skiing.